Convert TiVo to MPEG without Losing Quality. Home » Useful Guide » How to Convert TiVo to MPEG without Losing Quality? 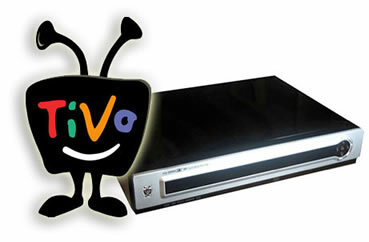 TiVo is a great and popular home setup box for recording favorite TV drama programs and movies for later playback. And you can transfer the TV recordings to your personal computer by using the TiVo Desktop Software application. But the problem with the .TiVo files is that they are not always compatible with other multi-media programs and editing software you may want to use to view or edit the TiVo files. As a result, it is required to convert the TiVo files to MPEG format for viewing/editing on your computers. Step-by-step guide: How to convert TiVo to MPEG? (1) How to transfer TiVo TV shows to PC? Launch TiVo Desktop software. Connect TiVo to your home network, and then the TiVo Desktop will provide you with a list of shows for transferring to your PC. Then please transfer the TiVo TV shows you want to PC. This Aunsoft Video Converter can help you to quickly and easily convert manifold video files like TiVo, MKV, AVCHD, HD, AVI, WMV, MOV etc to MPEG files. You could get wonderful output files and never worry about out of sync. Step 1: Start up this program, and then click “Add” to import all .tivo files. Step 2: Choose the proper output video format like Copy—Directly Copy for directly converting TiVo the MPEG files. As this Copying TiVo to MPEG process need not re-encoding, just remove the copy pretection from tivo shows. The speed is unbelievably fast, and the quality is very clear without any quality loss. Then choose destination folder to put converted MPEG files. Tip1: Directly Copy TiVo to MPEG don’t let you do some settings like adjusting resolution, bitrate, framerate, codec, etc for your portable devices. So if you want to convert TiVo to mpeg-4 (*.mp4) for your iPad, iPod, iPhone, Gphone, Apple TV, etc with best settings, please choose iPad, iPod, iPhone, etc (*.mp4) as output format and get the suitable settings. Step 3: Click “Start” button to start the TiVo to MPEG conversion. Just few minutes, the conversion from TiVo to MPEG is completed! If you got some TiVo files from your friends or had some TiVo shows on PC and didn’t install TiVo Desktop software, you will not use, convert, and watch them. You can also use this video converter for typing your friend’s TiVo code in Option—TiVo window —Media Access Key, then import TiVo shows into the program by clicking “Add” for converting. Also this program will remind you to put in the key when loading TiVo files. How to Edit Sony HDR-CX550 MTS in Magix Video easy?